Finally found some space to sort my notes from Saturday – well I say that and a student turns up for a meeting late. In my 90 minutes of time on a Monday when I meet with my final year project students if they turn up. Always a good time to do stuff like this as I cannot do much else. 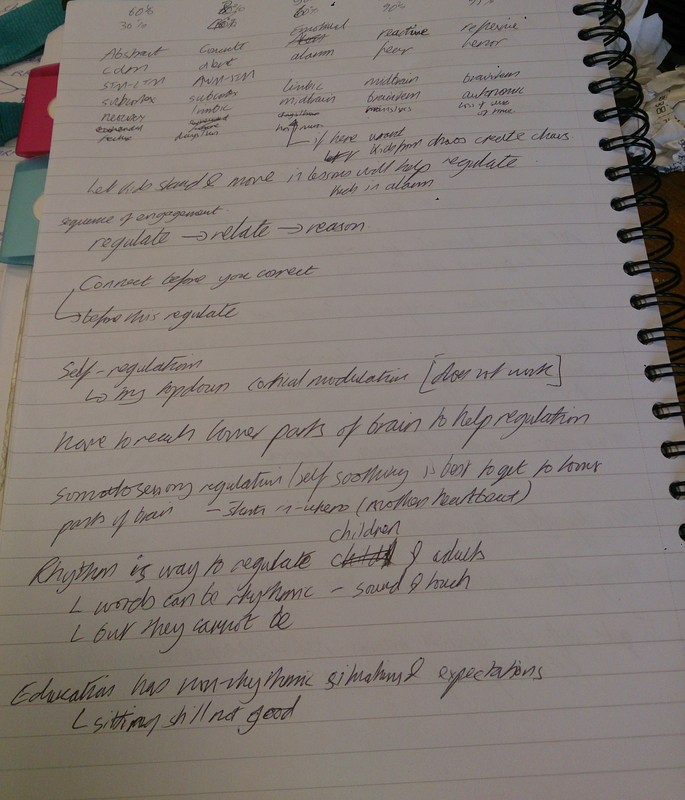 I really enjoyed the conference and took away any number of things from it – looking at my notes they go over 9 sides of A4 in my work logbook (only thing I had with me – good thing no one else sees it). I am not going to even attempt to write it all down here – but am going to talk about the things that stood out for me. Title says it all – no time to write about the AUK conference today as been a full on day with a little boy who needed me – as expected. There have been a few posts already I have seen and more to come I suspect. I shall probably write something tomorrow at work knowing me. Still buzzing a bit and realising little things about Sqk that make more sense. Like this evening, he decided to want to run in circles – which is one of his ways to regulate. So DH & I encouraged him to run round a rug on the floor in open space rather than round his wooden railway on floor in the lounge where I was sat with my laptop.